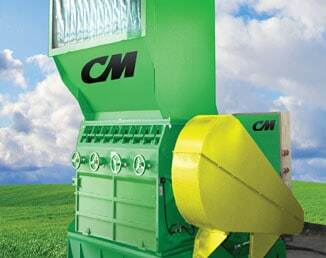 CM manufactures and design variety of tire shredders and replacement parts for tire processing equipment. Our granulator uses V-Force knife technology. It is heavy duty, high output, built for processing tire rubber and other material. The CM granulator convert free rubber into ground rubber. This processed material can be used for rubber molding, fine ground rubber. Our service technicians are also available to optimize our industrial shredder performance at your site. CM Granulators’ use V-Force knife technology to reduce material size and liberate fiber.